DOY is not driven by the profit motive. There are no outside shareholders to satisfy. DOY's main purpose is to serve their membership in two primary areas: saving and borrowing. Therefore, DOY has a very strict and conservative lending and investment policy. DOY confines its lending to its own creditworthy members. DOY's lending policies are constructed in a common sense and fair manner providing DOY a strong loan portfolio that has relatively few losses. All of DOY's mortgages are kept at DOY and are not sold on the secondary market. Over twenty years of mortgage lending, DOY has foreclosed on only three loans. DOY's investments are selected where there is virtually no market risk. All investments are short term and all are federally insured. DOY does not invest in stocks or bonds that could expose its assets to any risk. In summary, DOY's only concern is its members. Every policy, either investment or lending, is established to best serve the membership. All earnings are returned to the membership in the form of lower rates on loans, higher returns on savings, and/or better member services. DOY may not have all the "fancy flavored ice creams" other financial institutions advertise (CD's, IRA's, Stock Investments, etc. ); but one thing is for certain, DOY has the best "vanilla ice cream." "Did someone say ice cream?" DOY is a Federal Credit Union regulated by the National Credit Union Administration. 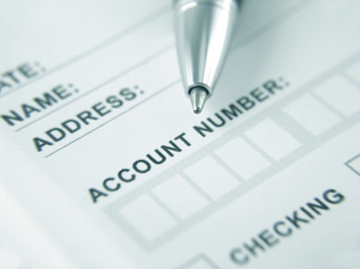 All savings are federally insured up to $250,000 by the NCUA. 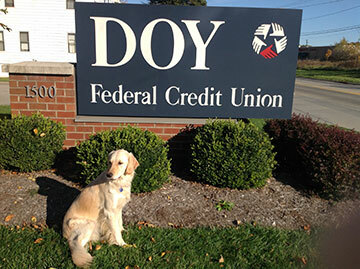 DOY is one of the largest Federal Credit Unions in the Youngstown Area with over 3000 members. Even if a member leaves their place of employment or leaves the area, they can still remain a member of DOY. All family members within the same household of a DOY member are eligible for membership. DOY is a Federal Credit Union and is not affiliated in any way with the Diocese of Youngstown except to define DOY's field of membership. DOY is located in Liberty Township just off the 711 connector, Gypsy-Belmont Avenue Exit. Turn left off the exit and DOY is on the left 100 yards before Belmont Avenue. Phone service begins each business day at 9:00 a.m. until closing.